Astronomy midterm question: no center for universe? Bell: What is at the center of the universe? Stimpy: The universe is not defined to have [a] center. Wherever you are in the universe you will always appear to be in the center. Discuss why this answer is correct, and how you know this. Explain using observations and evidence related to the Hubble law. Correct. Hubble's law is that the recession velocity of galaxies is proportional to distance, evidence is that there is a greater redshift of absorption lines for distant galaxies compared to nearby galaxies. This corresponds to the expansion of space between galaxies, such that each galaxy seems to be center of expansion as observed from their position. May use analogies as not-like-an-explosion, raisin bread, enlargement of between-spaces, etc. Nearly correct (explanation weak, unclear or only nearly complete); includes extraneous/tangential information; or has minor errors. Discusses how Hubble's law expansion will be observed identically for all viewpoints, but does not explicitly discuss absorption line redshift evidence for Hubble's law. Contains right ideas, but discussion is unclear/incomplete or contains major errors. Describes how Hubble's law expansion will be observed identically for all viewpoints, but Hubble's law discussion is problematic or incomplete. Limited relevant discussion of supporting evidence of at least some merit, but in an inconsistent or unclear manner. Discussion based on evidence of the earlier stages in the history of the universe, with little or no substantive discussion of Hubble's law. y = 2/20: Irrelevant discussion/effectively blank. [20 points.] Discuss the evidence for the monolithic collapse model of the Milky Way (spherical gas cloud flattening into a disk). Support your answer using the orbit and metal content properties of halo stars versus disk stars. Correct. Discusses evidence supporting the flattening of the Milky Way's shape by explaining how metal content increases for younger generations of stars, and observations that disk stars are metal-rich compared to the metal-poor halo stars above and below the disk. Limited relevant discussion of supporting evidence of at least some merit, but in an inconsistent or unclear manner. At least some discussion related to the monolothic collapse model. Implementation/application of ideas, but credit given for effort rather than merit. Discussion unrelated to the monolithic collapse model. 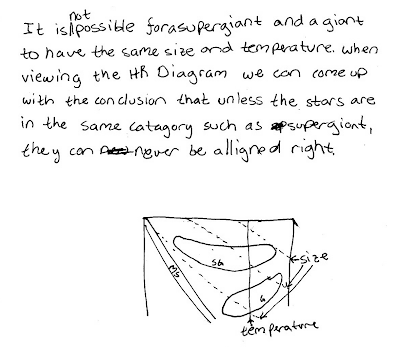 Discuss whether or not a supergiant and a giant star with the same size could have the same temperature, and why. Support your answer using the Stefan-Boltzmann law and/or an H-R diagram. Correct. Uses either the H-R diagram and/or the Stefan-Boltzmann law to show that since all supergiants are more luminous than giants, then it is not possible for a supergiant and a giant to have the same size and same temperature (as that would result in the same luminosity). Contains right ideas, but discussion is unclear/incomplete or contains major errors. 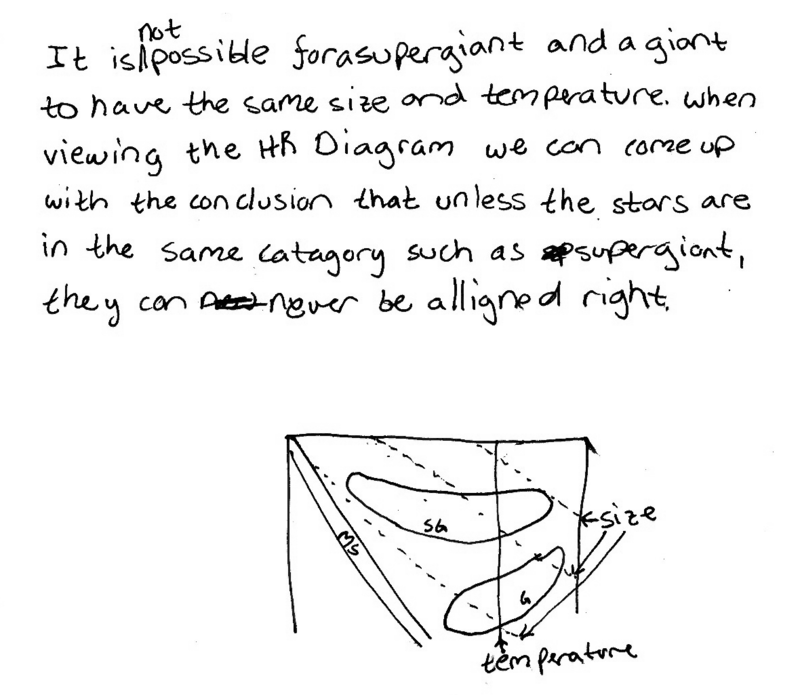 Attempts to use H-R diagram and/or Stefan-Boltzman law with stars of same size and same temperature, while realizing that supergiants and giants have different luminosities, but does not adequately resolve that these two arguments are inconsistent with each other (or resolves this with a plausible overlapping range of sizes/temperatures). Limited relevant discussion of supporting evidence of at least some merit, but in an inconsistent or unclear manner. At least attempts to use H-R diagram and/or Stefan-Boltzman law. [20 points.] Two long straight wires carry different amounts of current in the plane of this page. Determine the direction and magnitude of the magnetic field at the location indicated. Show your work and explain your reasoning. Correct. Determines directions of the magnetic fields of each current separately at point P, where B_1 points into the page, and B_2 points out of the page. 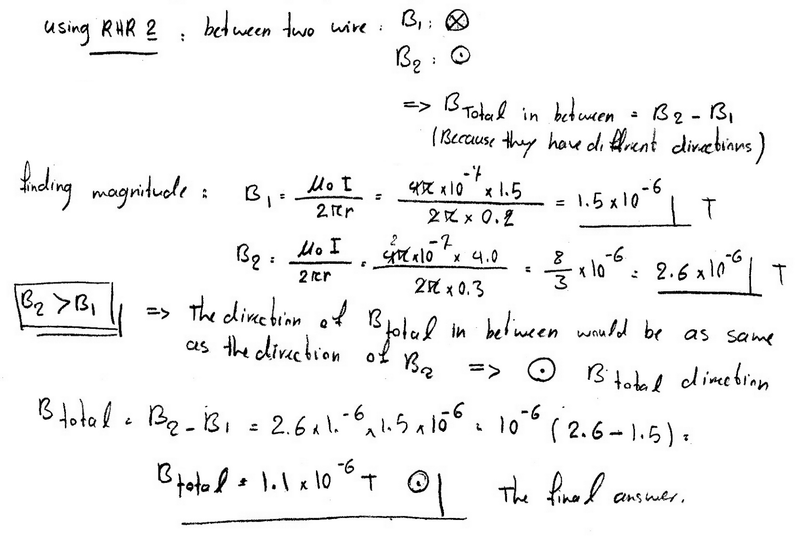 Finds the magnitudes of these magnetic fields, and since B_2 has a greater magnitude than B_1, the resulting total magnetic field at point P will point out of the page, with a (positive definite) magnitude that is the arithmetic difference of the two magnitudes. Nearly correct, but includes minor math errors. Direction or magnitude of total magnetic field has minor error. Nearly correct, but approach has conceptual errors, and/or major/compounded math errors. Both direction and magnitude of total magnetic field have minor errors. 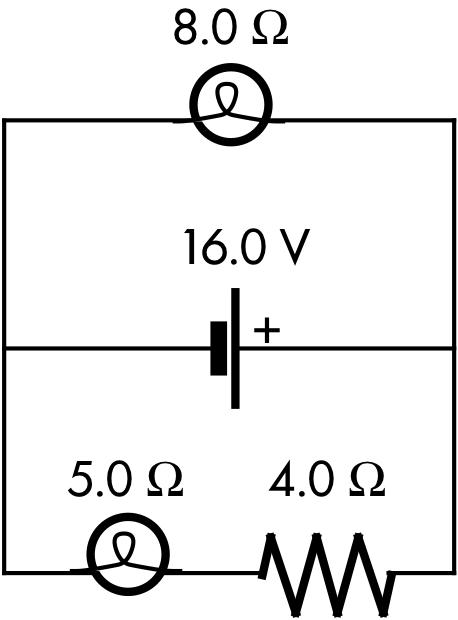 An ideal 16.0 V emf source is connected to ideal light bulbs and an ideal resistor, as shown at right. Find the amounts of power used by each light bulb. Show your work and explain your reasoning using Kirchhoff's rules, Ohm's law, and electric power. Correct. Determines power of 8.0 Ω light bulb by direct application of P = (∆V)2/R, or first solves for I through light bulb, and then uses P = I·∆V or I2·R. For the 5.0 Ω light bulb, must first solve for the current passing through the lower loop, then uses power = I2·R, or uses voltage drop across the 5.0 Ω light bulb to use P = I·∆V or (∆V)2/R. Nearly correct, but includes minor math errors. 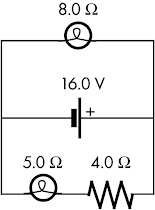 Typically solves correctly for the power used by the 8.0 Ω light bulb, but has conceptual errors in applying Kirchhoff's rules and Ohm's law to determine current passing through and/or voltage drop across the 5.0 Ω light bulb. "...Imagine what would happen if you took a Thanksgiving turkey piping hot from the oven and immediately placed it in a freezer. (Consider a perfect freezer--one that can remove heat instantly and always stay at its set temperature.) Initially the turkey would be at the same temperature throughout (assuming that you had roasted it for sufficiently long). Only a very thin skin would immediately take on the temperature of the freezer. But soon, the outer layers of turkey meat would cool as heat diffused outward, even though the center retained its initial oven-like temperature. Eventually, of course, everything including the stuffing would cool off; that is, the temperature inside your turkey would depend both on the distance from the surface and on the time elapsed since you placed it in the freezer." An ideal emf source is connected in parallel to two resistors, where r < R. Determine which resistor has more current flowing through it, or if there is a tie. 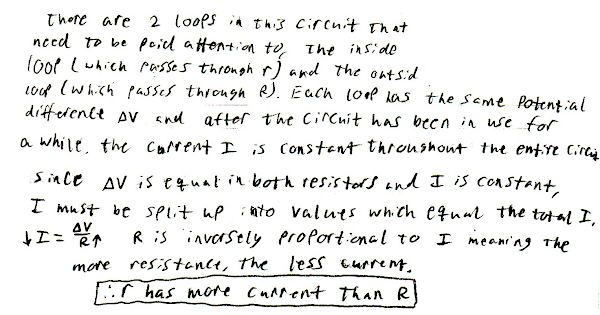 Explain your reasoning using the properties of currents and potential differences, and Kirchhoff's rules and Ohm's law. Correct. Uses Ohm's law and the fact that each resistor has the same voltage drop (from inspection, or from explicit application of Kirchhoff's loop rule) to find that the resistor with the smaller resistance will have the greater current passing through it. [10 points.] A positive source charge is held at the origin, and a negative test charge is at x = +4.0 cm. As the negative test charge is moved from x = +4.0 cm to x = +5.0 cm, determine whether it moves to a region of lower or higher potential. 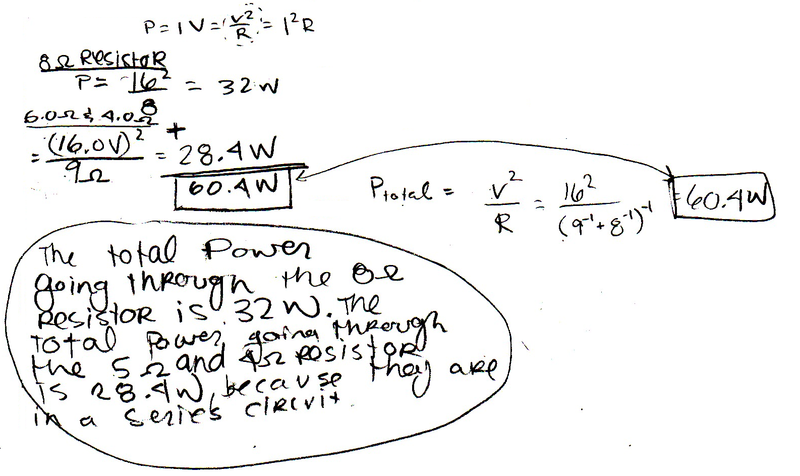 Explain your reasoning using the properties of electric potential. Correct. The source charge is the sole relevant potential, increasing r in V = k(+Q)/r will decrease the positive numerical value of the potential. Nearly correct, but argument has conceptual errors, or is incomplete. Confounds potential of source charge with potential energy of two charges, but at least discussion of how potential energy changes is correct. Images of __________ above and below the Milky Way have been extracted from NASA Fermi Large Area Telescope data. The NASA EPOXI spacecraft observed jets of gas and particles powered by __________ bursting from Comet 103P/Hartley 2. Astronomers in Chile recently observed dwarf planet Eris __________, which may indicate that it is slightly smaller than dwarf planet Pluto. (A) passing in front of a star. (B) during a continent-wide power outage. (D) using infrared and radio waves. (E) bombarded by an impactor. Cuesta College Astronomy 210 (introductory astronomy lecture) students take their second midterm on spectra, stars, galaxies and cosmology in the fourteenth/fifteenth week of instruction. 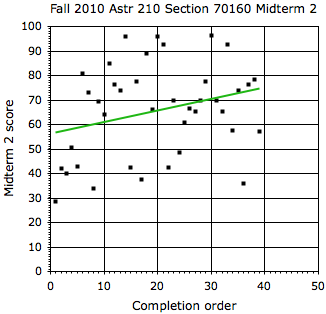 The midterm consists of ten multiple-choice questions (with partial credit for multiple-choice), and three short-answer questions (graded with a standardized rubric), to be completed within 80 minutes (the length of a regularly-scheduled lecture). The order in which students turned in their completed midterms was recorded, beginning approximately 10 minutes after starting, to 70 minutes after starting. With a linear regression r^2 value of 0.0395, there is no significant correlation between the time spent working on the midterm and resulting score (y = 0.299x + 62.181). *Two students were excluded from the linear regression, due to taking the midterms outside of the normal time allotted for the rest of the class (and thus were not ordered). 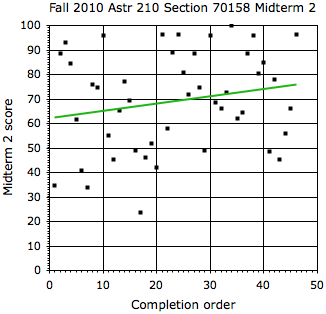 With a linear regression r^2 value of 0.0796, there is no significant correlation between the time spent working on the midterm and resulting score (y = 0.473x + 56.271). Cf. 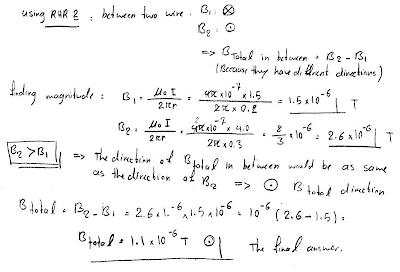 Giambattista/Richardson/Richardson, Physics, 2/e, Multiple-Choice Question 19.4; Problem 20.15.
since the magnetic flux phi_B is is constant, then there is no induced emf in the square loop, and thus no current induced in the square loop. Cf. Giambattista/Richardson/Richardson, Physics, 2/e, Problem 20.55. The current passing through an ideal inductor L is increasing over time. The __________ end of the inductor is at a higher potential. From Lenz's law, the inductor will have a back emf induced in it that will fight the increasing current flowing to the left, resulting in the right end being at a higher potential (with the left end at a lower potential), corresponding to an induced current that points to the right, opposite the direction of the increasing external current. A conducting rod 0.50 m in length moves at a constant speed through a uniform magnetic field. A longer rod 1.0 m in length moving with the same speed in the same direction in this magnetic field would have a potential difference __________ the 0.50 m long rod. So a longer rod would experience a proportionally greater motional emf. 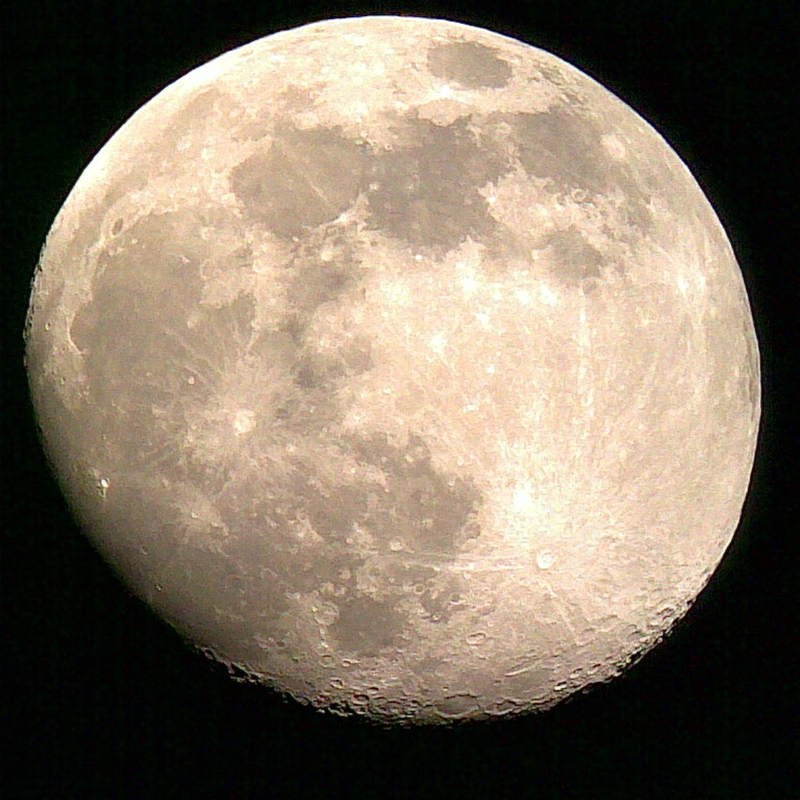 Waxing gibbous moon, November 18, 2010, photographed with a hand-held Nokia e71 smartphone through an Orion SkyQuest XT8 8" reflector at Cuesta College North County Campus, Paso Robles, CA. 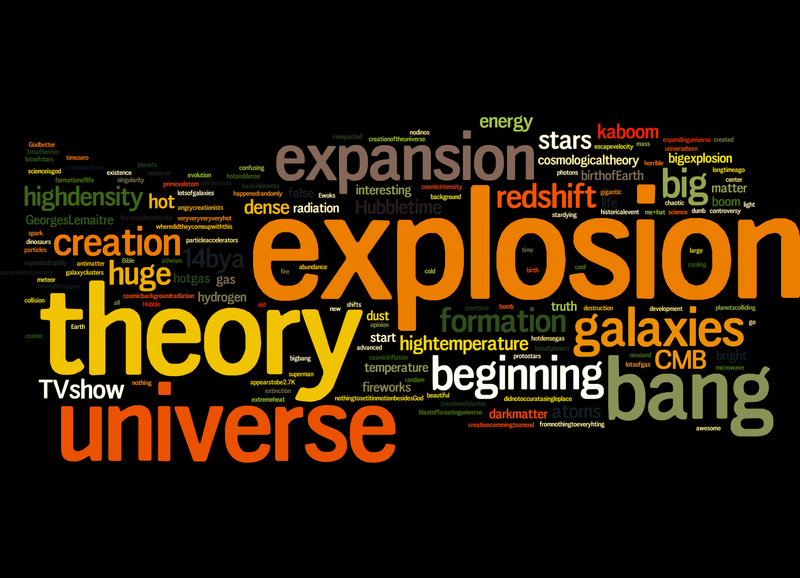 Wordle.net tag cloud for "big bang" (post-instruction) generated by responses from Astronomy 210 students at Cuesta College, San Luis Obispo, CA (http://www.wordle.net/show/wrdl/2749023/Untitled). bigbang, crazy, dust, space, sweet! (A) different layers exposed by the sun. (C) sulfur-rich volcanoes and geysers. (E) simple organisms similar to algae or lichen. (A) returning samples from a dark nebula. (B) shooting a projectile into the nucleus of another comet. (C) flying through the asteroid belt. (D) surveying the moon's surface for traces of water. (E) tracking and deflecting a potential asteroid impactor. The NASA Cassini spacecraft has recently imaged __________ in Saturn's rings, which may be caused by gravitational fluctuations between Saturn and its moons. (A) between the spiral arms. (B) above and below the disk, in the halo. (D) inside the central supermassive black hole. In order for all stars to have nearly the same orbital speed at different distances from the center of the Milky Way, mass must be distributed evenly as dark matter above and below the Milky Way disk, out in the halo. __________ is evidence that the sun is located near the outer rim of the Milky Way disk. (A) Most stars in other galaxies are found near their outer rims. (B) Very few stars in the direction out towards the rim. (C) How slowly the sun orbits the center of the Milky Way. (D) Star cluster positions above and below the disk. Globular star clusters can be easily seen above and below the disk of the Milky Way, unimpeded by interstellar gas and dust within the disk of the Milky Way, and their locations are centered on the gravitational center of the Milky Way. __________ is evidence that the universe has no center of expansion. (A) Matter and antimatter annihilate to convert into energy. (B) Galaxy redshifts are proportional to galaxy distances. (C) The finite speed of light. (D) The night sky is dark, and not blindingly bright. The Hubble law indicates that space is expanding, such that galaxies which are stationary within this expanding space will appear to recede faster from an observer the more distant they are. Since this would be true for any observer at any location in this expanding space universe, such that the expansion would not have a center. (D) have fewer absorption lines. Each element will produce its own characteristic set of absorption lines. A star that had formed recently will be metal-rich, and have many absorption lines, while a star that had formed a long time ago will be metal-poor, and have fewer absorption lines. (A) the location of the Milky Way's center. (B) dark matter in the halo. (D) the spiral arm structure of the Milky Way. Wordle.net tag cloud for "keep" resolutions generated by responses from Astronomy 210 students at Cuesta College, San Luis Obispo, CA (http://www.wordle.net/show/wrdl/2714070/Untitled). 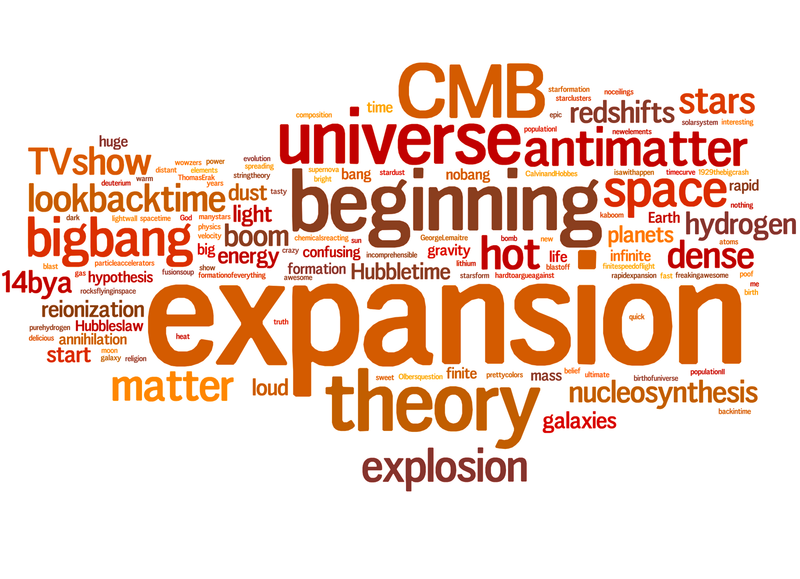 Wordle.net tag cloud for "quit" resolutions generated by responses from Astronomy 210 students at Cuesta College, San Luis Obispo, CA (http://www.wordle.net/show/wrdl/2710267/Untitled). 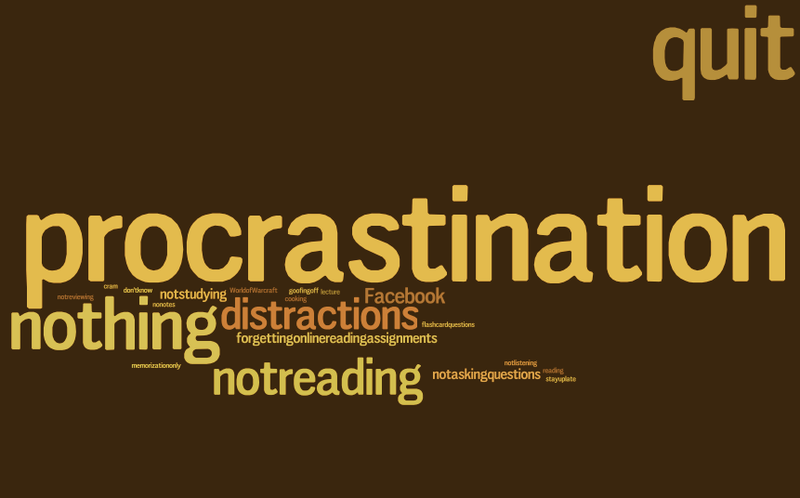 Wordle.net tag cloud for "start" resolutions generated by responses from Astronomy 210 students at Cuesta College, San Luis Obispo, CA (http://www.wordle.net/show/wrdl/2710322/Untitled). for help from smart science people. I remember things better if i focus on studying right before the test. 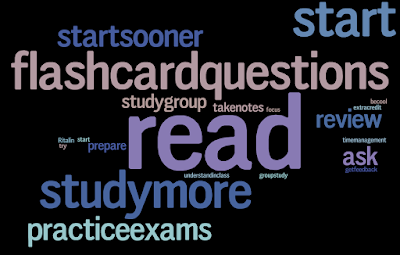 Review the flashcard questions that have to do with the quiz and review notes and keep up with reading. I plan on keep reviewing the flash card questions online. At first I didnot do the falsh card questions and now I have been doing them and my last quis I got a 36. so it was a big jump form 22. 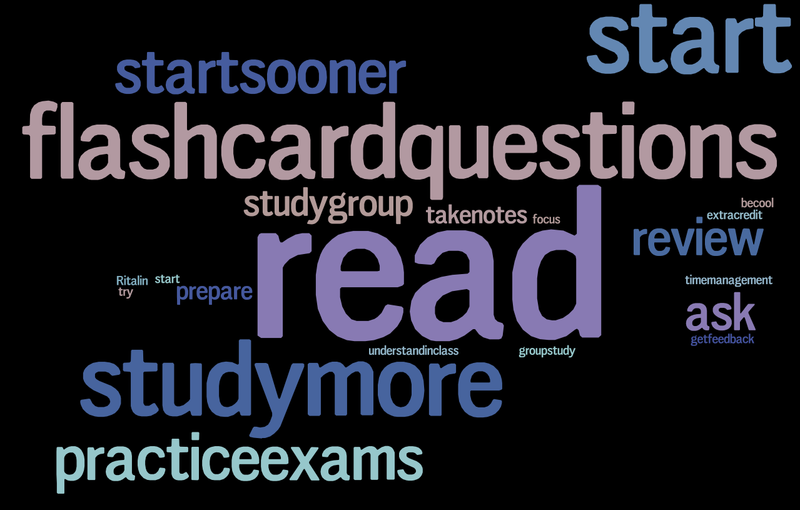 I want to keep studying the flashcard questions and quiz questions to better prepare me. Keep up with the normal homework online/ extra credit: it helps a lot with remembering things over the week break. Going to class keeps my participation points and understanding up. I feel like coming to class is the best way to learn for this particular course. Since I don't really understand any of this material on my own, I need to help from the ever-wise P-Dog to learn it. I learn the most during lecture and in-class activities. I don't study very effectively from the book. Coming to class gives you everything you need to know. As long as you pay attention to lectures and do in class activities, the rest should come pretty easy. Having my friends explain things to me helps. Its always better to have two brains than one. I think that the powerpoints are really good at giving us the tools we need to do the work, and the inclass assignments are what help us to apply those tools. it helps refresh my mind. I look back on my notes more and remeber the leture. i remember things easily if i wrote down what the teacher was saying. Because it helps me get most of the questions right. When I take notes in class it helps me to listen to what is being taught and write it down. I intend to keep studying notes that we take in lecture and during flashcard questions, because most of those concepts are on the quizzes. I always look at my notes before the test, and try to compare them to the book. So I am going to continue to take notes in class. Its important to take good notes during the lecture, and also for the book. It helps a lot when it comes to quiz/exam time! taking thourough notes in class really helps with my studying. The notes that I take in class, and the flashcard questions that we go over in class have been helpful for me in studying for this class. What I mean by this is keeping up with the work. Completing the online assignments and in-class activities. The book really hasnt been necessary for me in this class so far because the assignments and lectures have been able to carry me through pretty well. This has helped me a lot for studying for all the quizes and tests. I think that going over the quizes and flash card questions really help me to grasp the material and types of questions that will be on the test and thus help me to study so that I can retain the knowledge and score well on quizes. I think it is pretty self explanatory. Looking at quizzes from past years helps me study for each quiz because they give me the best idea as to what things I have to know to do well on the quizzes. The old quizzes cover a lot of questions that are or are similar to those on the actual quiz. I generally get most of my answers right because of the old quizzes. Look at older quizes and tests to help me get a feel for what I need to go over. I'm going to keep taking the previous quizzes that are posted online and looking up the answers that I don't know. Keep going over old quiz's. I just wish the answer key for them could be online. They provide a good clue as to what I should be studying. I'll keep the old quizzes he turns back in because they have a lot of similar questions as on the test. I have found it useful to study my own old quizzes as well as the quizzes posted online from other classes. By using older versions of quizes coupled with the flashcard questions I can more effectively extract pertinent information from the book, lecture notes, and in class activities. well ive been reading the book so i'd figure i should keep doing that. If I read ahead, I'll know what to expect in class/will already have an idea of the material. reading helps me understand something better than just listening to it. 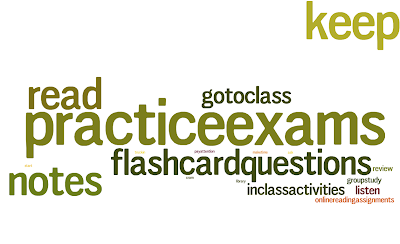 reading covers most of what we talk about in class, and the flashcards are very knowledgeable and help because they are similar to test questions. Review flash card questions and old tests posted online. I review a lot of my notes. 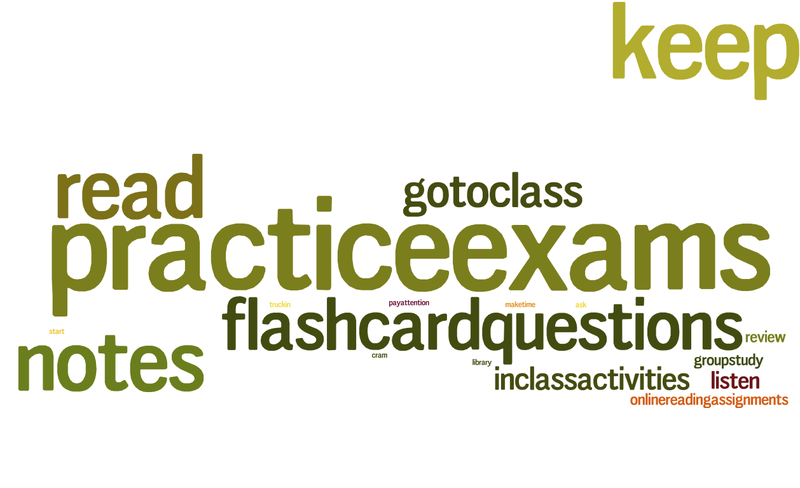 I go over all the flashcard questions that were asked and their answers. Pretty self explanatory but in order to study I'll have to cut back on the time I spend with my friends. i watch tv while studying. it distracts me from everything. Although the flash card questions are very helpful, they are very time consuming and I have other work that I have to do aswell. The powerpoints and inclass activities are really all I need to go over. 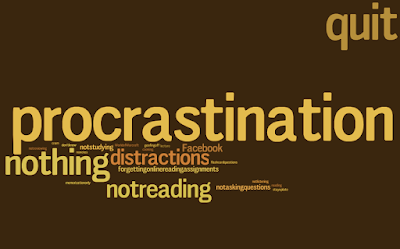 forgettingonlinereadingassignments ("reading quizzes")Sometimes I make a habit of forgetting to write down homework, therefore I don't do it. I sometimes tend to forget to do them. So I should stop that. Sometimes when I am reading my mind wanders about pointless things and I stop reading for awhile until I can get my mind back on track. When I rely on my memory to answer quetstions on the tests and quizzes, I don't do very well. I have been doing everything I need to do. I just need to do it. I don't intend to quit anything, because no study habit at the moment is inhibiting quiz grades. i feel that everything i do benefits me in some way. I'm not going to quit anything. I'm satisfied with my performance in the class so far so I need to maintain rather than quit. I have realized that flashcard questions are actually very important and usually show up again on quizzes and tests. At first I was only reading the book, now I know that I also need to use the flashcard questions and In class activities to study for this class. I need to go through the book a lot more when I study and read through everything thoroughly so I better understand the material. I find that I only read parts of the chapters, and not the entire chapter. So I need to make sure I am not only reading parts of the chapters. Sometimes I don't always read the chapters in the book and I need to spend more time doing that. The online flashcard questions are almost exactly the same as quiz questions. Studying is essential for this class! I need to stop procrastinating when it comes to studying for a test. I need to stop waiting until the last minute to study! Have to stop neglecting questions that don't make sense and ask for help. I usually end up studying on the day of the quiz which is not a good formula for success. Cramming information in a couple of hours is usually lost right after the test. I'm going to stop waiting so long to study and start doing that earlier. If i quit waiting until the last minute to study then maybe I would have time to email P dawg my answers to the practice quiz's. cramming for me, i find, only works for English classes for some reason. I intend to study for tests and quizes a week before they are given. I need to sometimes stop putting things off and just do it. Reviewing or re-reading the book only makes me more confused when I'm trying to study for a quiz. There is too much information to remember, and a lot of it isn't on the quiz anyway. I have been staying up late studying and I am not getting the grades I want, maybe if I get more sleep and a better rest I will do better. it is a big time waster. and distracts from study time. Its always nicer to have something explained by the teacher, or even other students rather than researching it later when you have to go digging for the answer. sometimes its scary to ask questions but at times its what really helps. I intend to start doing outreach activities for bonus points, to get as many as possible because I'd like an A in the class. The flash card questions help me understand topics like star luminosity or ones that don't have answers that we can memorize. They help me learn to figure out answers for these kind of questions easier. I think looking at both the older quizes and the flash card questions will help give me even more practice. Looking over more flashcard questions. every single question that gets posted make sure you get the answer too. Start participating in more group studying. I have yet to study old tests so I can obtain information that I have lost or stored somewhere in my memory that prepares me for the final and midterm tests. Practice is a good idea. Utilizing old quiz versions and flashcard questions as study guides has helped me so I need to start thinking about looking at the relevant material for the next exam. I feel that if I do this I will be better prepared for the class and understand things more easily. I need to start reading the chapters more in depth. I ususally just skim them I need to really deeply read them. I feel like those might give me that little bit more info that helps everything sink in after going over it. i haven't been reading the book before quizzes. If I read all of the chapters that we study, i should be able to also look at the notes and hopefully be able to raise my grade in the class. More in depth reading of the book. I think that I'm reading it too quickly and not fully understanding the material. I intend to read the book more!! I want to read all the sections that we will cover in class, and that will be on the tests and quizzes. I really want to get a better grade on my quizzes. I do look at the book, but there are certain sets of pages that actually help quite a bit for the quizzes. I don't usually read the full chapters, I just read the parts I find the most needed for the reading assignments and the quizzes. I have found that the summary at the end of each chapter is very useful and I intend to start doing that every week. I plan to read the chapters more carefully and ask questions for things I don't understand. I missed a question because of a small detail that i didn't pick up in class, but i probably had it in my notes if i had looked close enough. I'm going to go over the chapters in the book more than once. i'm going to review my notes more often and before quizzes. I basically need to start doing it. I would like to study a good three days before the test to be EXTRA prepared!!! Study more and study sooner!! I leave studying to the very last minute. Studying in a group will not only insure that I do well on quizzes and tests, but that other people will too. It helps to have someone to explain the material too and have explained to you if you're unsure. I need to start studying earlier than the week of a test or quiz. I want to start studying a week before. With my busy schedule I don't think that I spend enough time studying so I am going to plan more time into my schedule for studying for this class. I have never really had a class where I can take advantage of online work, so I am going to use the online work given. Before quizzes, I need to start studying more. That'll help alot. Print out all flash cards and old quizzes and study the answers to those questions. I definitely slacked on notes early in the semester for this class, so I need to start taking much better ones from now on. i need to take notes as i read so that i can look back on the key points. By that i mean, i'll leave more time to study for this class than doing other classes' homework. harder than i do now. Asking a neighbor any questions so everything is clear in my head before I study at home. Bruce Tendai Mubayiwa, "KQS! ", http://journeysinlife.com/2009/10/kqs/. The circuit breaker for a power outlet strip that supplies 120 V is rated for 7.0 A. Suppose a laptop computer draws 24 W, a lamp draws 300 W, and a popcorn popper draws 600 W. Which will draw the most current without tripping the breaker? (C) Laptop and popcorn popper. (D) Popcorn popper and lamp. (E) Laptop, lamp, and popcorn popper. Power = I*delta(V) = (7.0 amps)*(120 volts) = 840 watts. (A) 24 watts + 300 watts = 324 watts. (C) 24 watts + 600 watts = 624 watts. (D) 600 watts + 300 watts = 900 watts. (E) 24 watts + 300 watts + 600 watts = 924 watts. Thus running the laptop and popcorn popper will draw the most current (I = Power/delta(V) = (624 watts)/(120 volts) = 5.2 amps) without tripping the breaker. Running the popcorn popper and lamp, the next higher power combination of appliances, would result in a current I = Power/delta(V) = (900 watts)/(120 volts) = 7.5 amps, which would trip the circuit breaker. Running all three appliances would result in a current I = Power/delta(V) = (924 watts)/(120 volts) = 7.7 amps, which would also trip the circuit breaker. Consider a 20 µF capacitor connected to an 8.0 kV potential difference such that it is fully charged. The capacitor is then disconnected from the potential source, and a 200 ohm resistor is connected to the capacitor at t = 0. 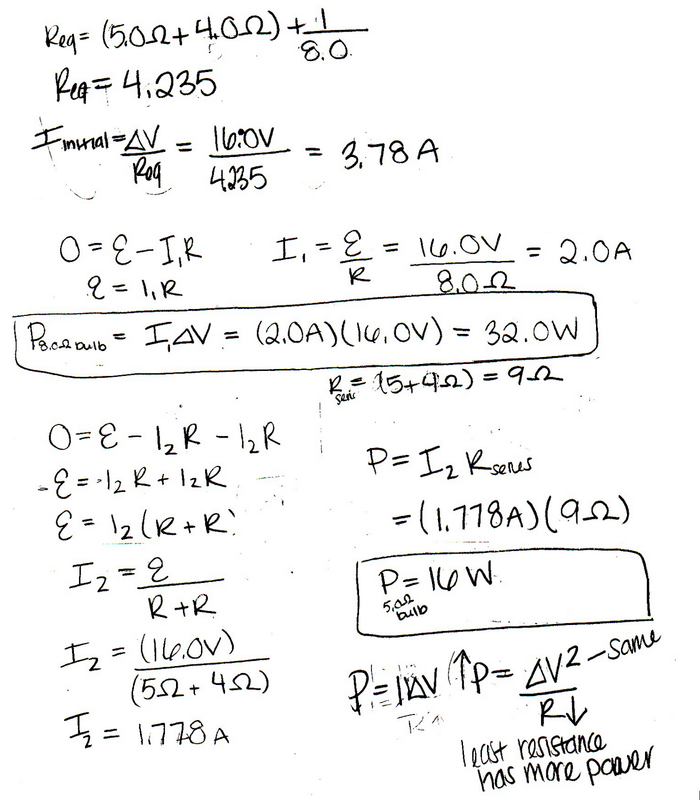 At what time t will the voltage across the capacitor have 50% of its original value? t = -tau*ln(delta(V)/emf) = -R*C*ln(delta(V)/emf) = -(200 ohms)*(20e-6 farads)*ln(0.50) = 0.002772588722 s ≈ 0.0028 s.
Response (A) is R*C/2; response (C) is -C*emf*ln(1/2); response (D) is -ln(1/2). I = +(12.0 volts)/(1.5 ohms + 4.5 ohms) = 2.1818... amps ≈ 2.2 amps. Response (A) is (12 volts)/(10.0 ohms); response (C) is the current that passes through the battery; response (D) is (12.5 volts)/(1.5 ohms). NASA's Mars Exploration Rover Spirit detected __________, which may be evidence for subsurface water on Mars. (B) small and steady Marsquakes. (E) different composition soil layers. (A) not affected by spiral arm dust. (B) not affected by dark matter. (C) not affected by local light pollution. (D) arriving at Earth just before the galaxies collided. (E) slower and steadier than visible light. (C) previously unseen spiral galaxies. (E) close binary star systems. Wordle.net tag cloud for "big bang" (pre-instruction) generated by responses from Astronomy 210 students at Cuesta College, San Luis Obispo, CA (http://www.wordle.net/show/wrdl/2749050/Untitled). big, collision, formation, life, truth? Instructor (to class): "So why do you think we can't see most of our Milky Way?" Student 1: "Because it's so huge." Instructor: "Then how it is possible that we can see distant galaxies outside the Milky Way?" Student 2: "Uh...because they're huge, too?" A compact object with __________ may be evidence of a neutron star in a binary system. (A) a hot, x-ray emitting accretion disk. (B) regularly timed x-ray pulses. (C) zero mass and no emitted light. Response (B) is evidence of a neutron star (pulsar) in a binary system; response (D) is evidence of a white dwarf in a binary system. Response (C) is not true for black holes (which have a finite mass, but zero size, and emit light from their accretion disks). Note that response (A) is also evidence of white dwarfs and black holes in binary systems, as they also have accretion disks. What provides the energy for a type II supernova explosion? (A) Shockwaves from either nearby supernova explosions or hot young stars. Response (A) is how star formation may be triggered in the interstellar medium; response (D) is a consequence of heat from from the core to the surface of a star. Response (D) can no longer provide energy for a star at the end of its supergiant phase, as it core is iron at this point, past which requires more energy to be put in than can be released by fusion. Thus with no energy source to balance gravity, the core undergoes runaway contraction, and the resulting energy from this gravitational collapse of the core is transferred to the outer layers of the supergiant in an "implosion-explosion" sequence--a type II supernova. A compact object with __________ may be evidence of a black hole in a binary system. Response (B) is evidence of a neutron star (pulsar) in a binary system; response (D) is evidence of a white dwarf in a binary system. Response (C) is not true for black holes (which have a finite mass, but zero size, and emit light from their accretion disks). Note that response (A) is also evidence of white dwarfs and neutron stars in binary systems, as they also have accretion disks. 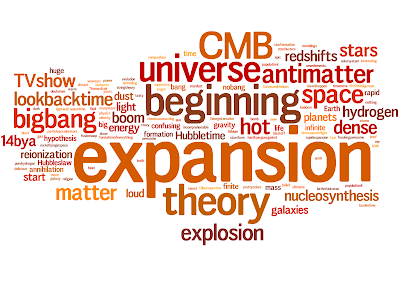 (B) helium-3 and other potential fusion fuels. __________ is evidence that the orbit of planet OGLE-TR-113b is shrinking. (A) Timing of its transits. (B) Infrared observations of its hot spot. (D) A massive, yet-unseen companion. (E) Exchange of tidal energy. (A) experiencing a perpetual sunset. (C) not the hottest side of the planet. (E) lacking water, methane, carbon dioxide and carbon monoxide. Low-mass stars in a young star cluster will be in their __________ stage. Since low-mass stars take the longest time to develop from protostars to main sequence stars, a young star cluster will have massive stars that may have already become supergiants, while the medium mass stars are on the main sequence, and the low-mass stars are still protostars.